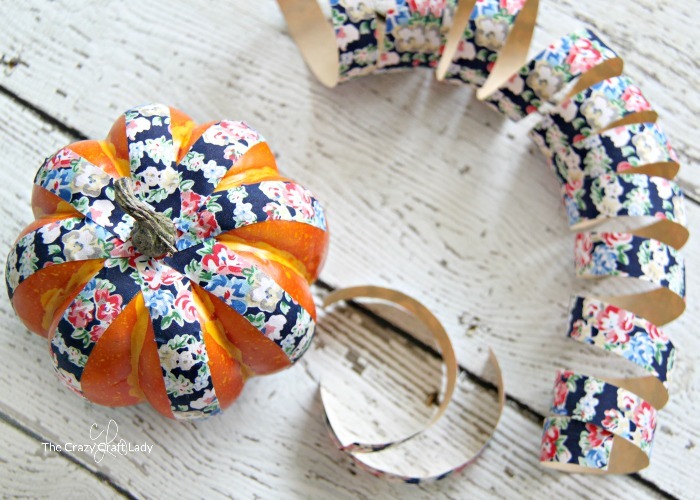 Fabric tape comes in a variety of colors and patterns, so why not spice up your fall decor with these mini fabric tape pumpkins? 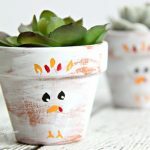 This simple fall craft will add a little fun and variety to your fall decor! 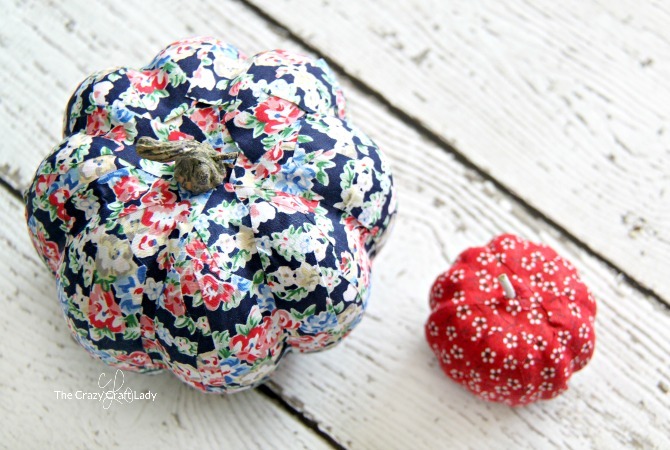 Whip up this simple fall craft by decorating small plastic pumpkins with fabric tape! 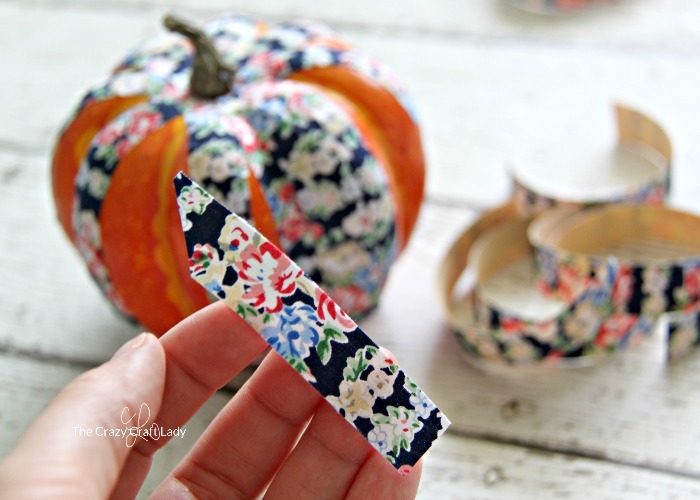 Fabric tape is one of my favorite crafting supplies. 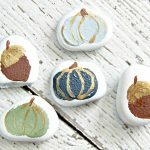 It is available at craft stores in a variety of colors and patterns, and if can be used to decorate just about anything – like these fun mini pumpkins. 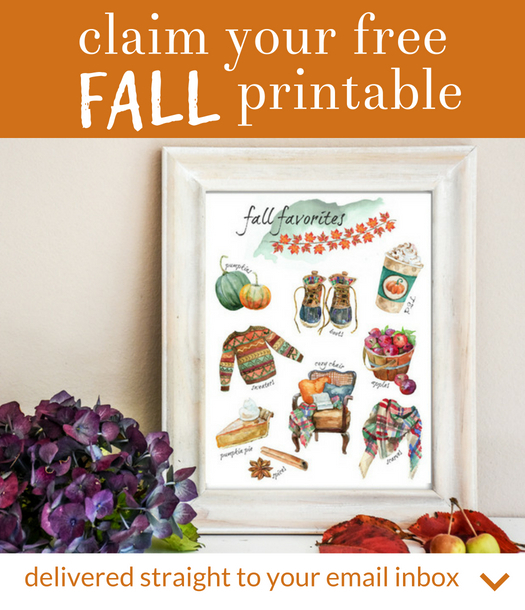 This is a simple fall craft that crafters of all ages can enjoy. 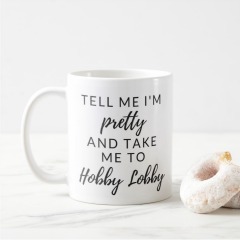 Plus, it only requires three supplies. 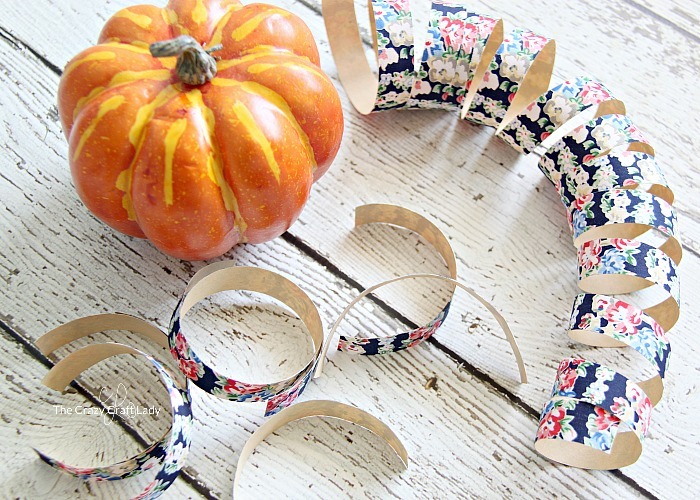 So grab your favorite color of fabric tape, and get crafting. 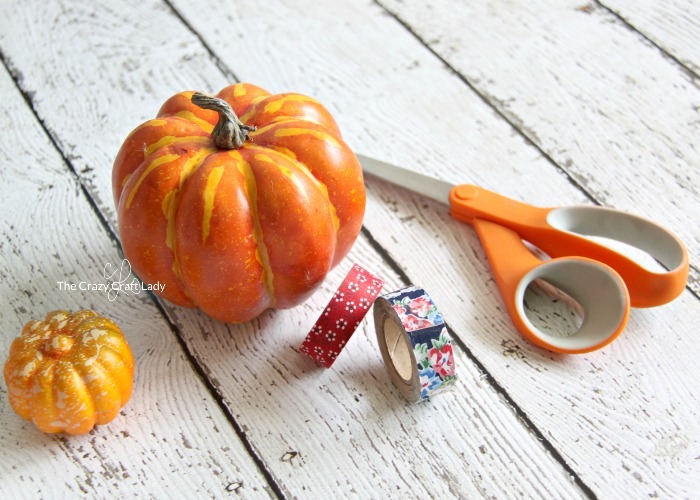 fabric tape – note: do NOT buy paper washi tape. 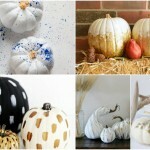 It doesn’t have enough give for the ridges of the pumpkin. 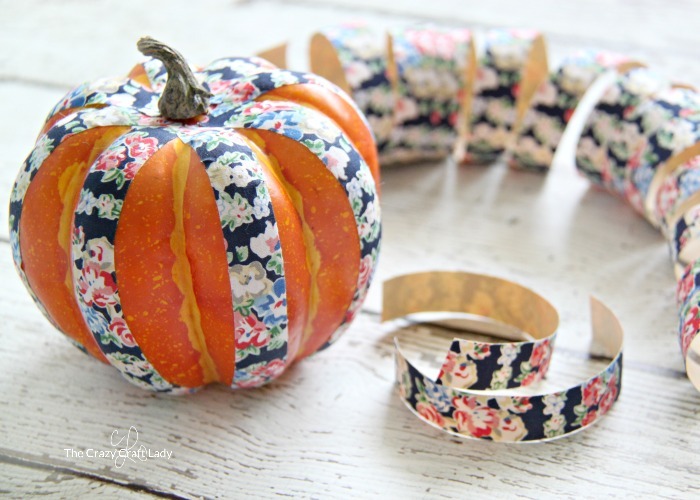 You want decorative fabric tape. 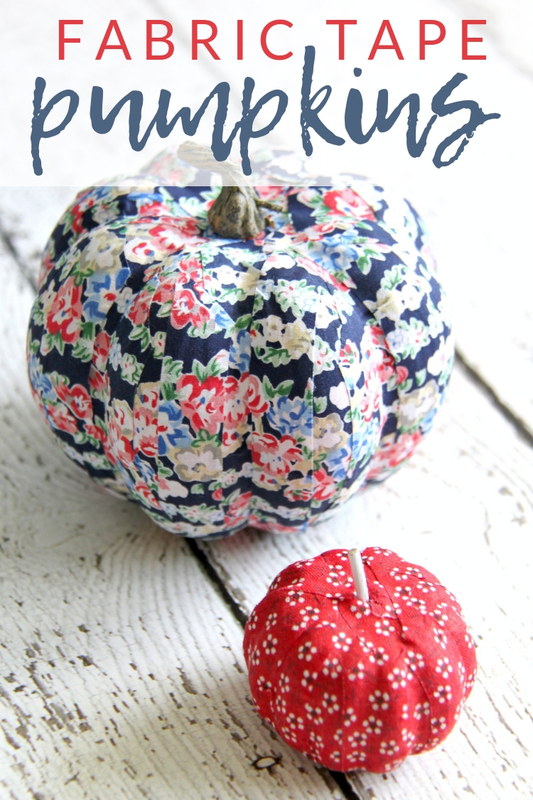 Cut strips of fabric tape long enough to cover the pumpkin from top to bottom. 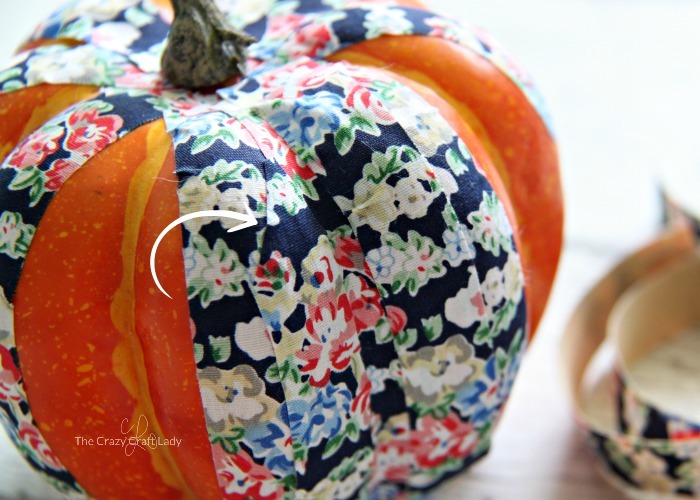 Starting in the ridges around the pumpkin, add strips of fabric tape at even intervals around the pumpkin. 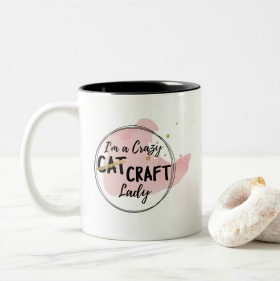 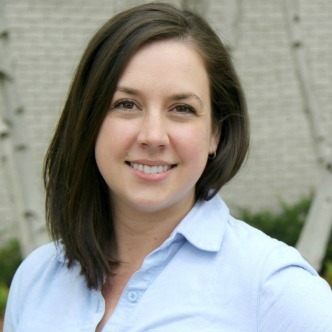 This post originally appeared at Somewhat Simple where I’m a contributor.